Your average car wash spins very fast and is really loud. Customers get anxious or worried about the damage that may being done to their vehicle. Uncle Larry's Car Wash is different! Our brushes spin at 1/3 the speed of normal car washes, not beating up your vehicle and delivering a soft but effective cleaning. The foam brushes use Spinmitt technology that clean like a hand-wash, with over 4x the touches at production line speeds, ensuring the quiet and delicate touch customers are looking for. 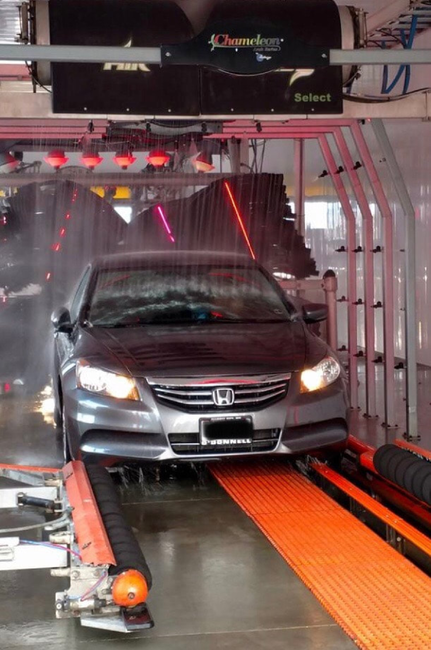 We offer Unlimited Monthly Packages for all of our washes starting at $20/month andFamily Plans for any additional vehicles. Our package confirmation light show is a captivating experience for the whole family to enjoy!